Skip the traditional Muggle sightseeing tour and take a private 3-hour Harry Potter themed around London. Visit the spots which inspired places in the Harry Potter books and served as filming locations for the films. 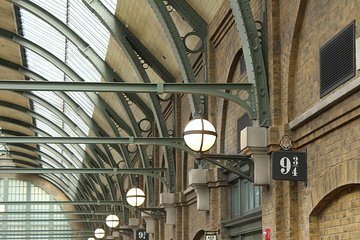 See the striking similarities between Cecil Court and Diagon Alley, check out graphic art from the movies at a local gallery, snap a photo at Platform 9 and ¾, and more.